Welcome to the Ernest Chang Piano Studio website! We offer the finest instrumental facilities to complement the artistry of a highly qualified and talented team of instructors who are dedicated to providing an exciting and rewarding teaching program and a wide array of recitals, activities and opportunities for our students. We believe that studying to play piano is among the finest extracurricular activities parents can provide for their children. Piano students learn to use some of the smallest muscles in their bodies to perform very intricate and exact movements. 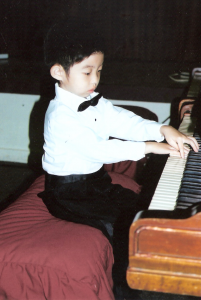 This develops discipline, concentration, meticulous attention to details, long-term thinking and perseverance, patience, emotional control, and many other important qualities that can benefit them beyond the piano studio.